Looking for inspiration for a timeless wall piece? Our elegant wall clock is waiting to fill the space. It is crafted from metal and sports a classy brushed nickel finish. A clear glass lens protects the face which is simple and uncluttered with black markers for the hours and a set of matching black hands. 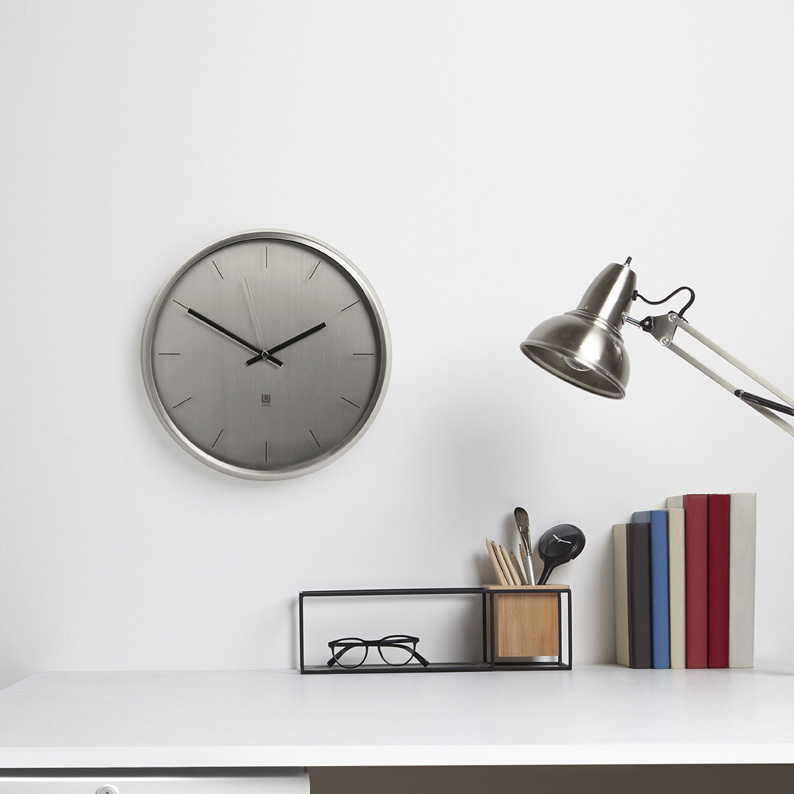 The clock is silent, adding an air of sophistication to a office, study or den. Ideal for a modern décor theme filled with loads of glass and steel. Size diameter 31.75cm.